Forbidden fruit? The NISMO N-Attack 7:08 Nurburgring GT-R was out at Fuji Speedway testing. So far they say its fast, and at smooth tracks like Japan, needs some tuning to make it as fast as possible. Let's see how much of this we might be able to get for the USA. 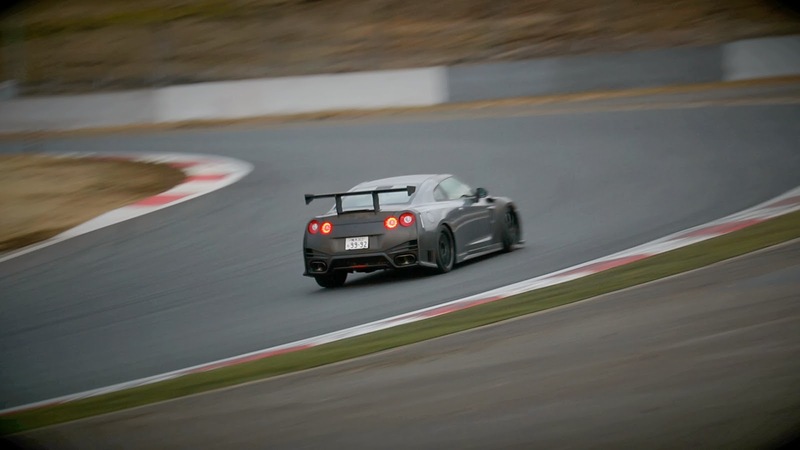 GOTEMBA, Shizuoka Prefecture, Japan – After setting a production car lap record at Germany's famed Nurburgring, the Nissan GT-R NISMO N-Attack Package brought that performance to Japan's Fuji Speedway in tests in early March. The Nissan Global Media Center spoke with Noboru Kaneko, chief vehicle engineer for the GT-R NISMO, on the N-Attack Package tests, as well as NISMO racing driver Tsugio Matsuda on the drive and feel. "Since the time attack lap at the Nurburgring circuit last September, we've been developing parts used in setting that record mark in a GT-R NISMO for public sale. Today we are testing at Fuji Speedway in Japan to make some final checks and acquire a bit more drive data. We have developed the GT-R NISMO with the NISMO N-Attack Package to match the performance seen at Nurburgring. "The Fuji tests have confirmed that the car is just as fast here. Track characteristics can differ greatly, so the NISMO N-Attack Package features Öhlins adjustable dampers that can be modified for other tracks. We are considering further fine tuning to match other tracks." "The 2014 GT-R is already a fast car, and I wondered 'Would the GT-R NISMO be even faster?' I could feel the 50 horsepower increase. The GT-R NISMO was indeed incredibly fast. "As for NISMO N-Attack Package, the downforce generated by the additional aerodynamic parts is really effective on the high-speed corners such as '100R' and '300R' here at Fuji. Since this car with the N-Attack Package was developed at Nurburgring where the road surface is rough, it would be great if there are further tests and adjustments made for other circuits, including flat and smooth Japanese tracks, so that even more drivers can enjoy this car."